October is the tenth month of the year in Julian and Gregorian calendar. It has 31 days like its pre-occurring months January, March, May, July and August. The month of October is in between September and November. 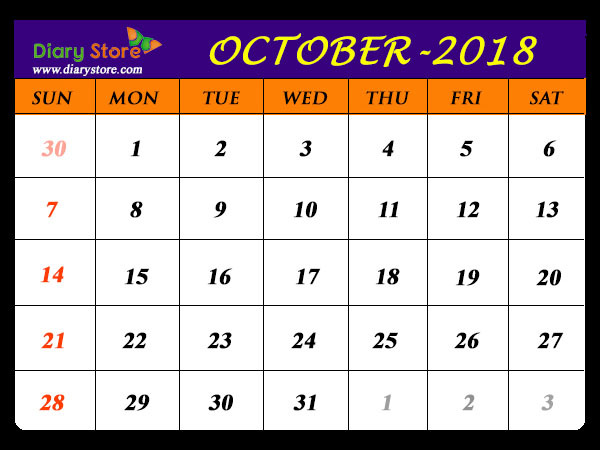 The roots for naming the month can be traced to the period of ancient Rome when October was considered as 8th month in the old Julian calendar prior to insertion of January and February. The Latin word “Octo” means eight which denotes the old rank the month was ascribed. However, the name October has continued to be used even in modern times. October is characterized by autumn (fall) in the northern hemisphere and spring in the southern hemisphere. The climatic scene is reversed in each hemisphere in the month of April which is referred to as seasonal equivalent.